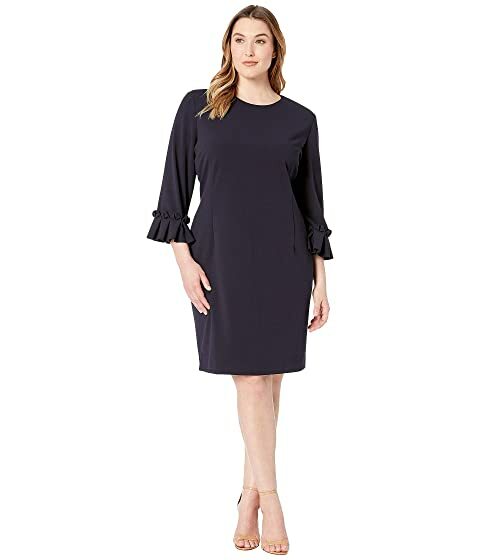 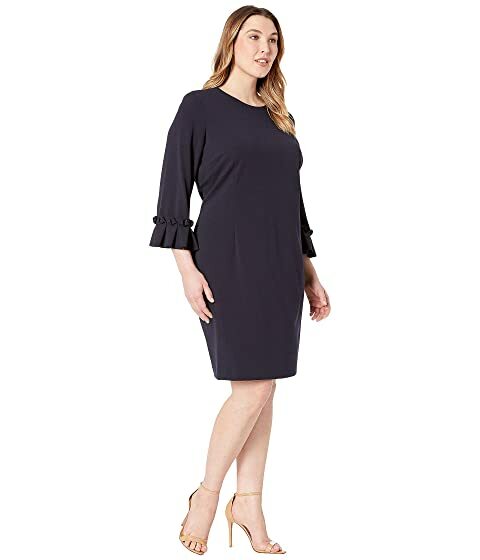 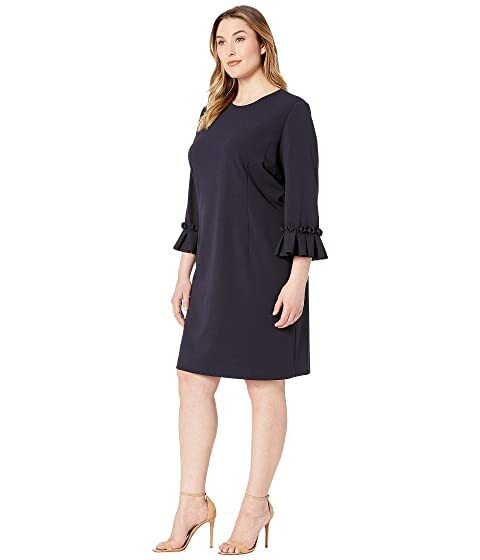 Command attention in this Tahari by ASl™ Plus Size 3/4 Sleeve Crepe Sheath with Sleeve Detail. 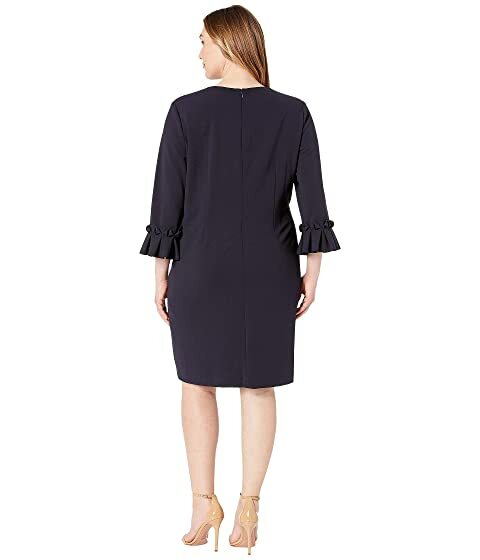 Cocktail dress in a sheath silhouette. Round neckline and three-quarter sleeves with fluttered cuffs.